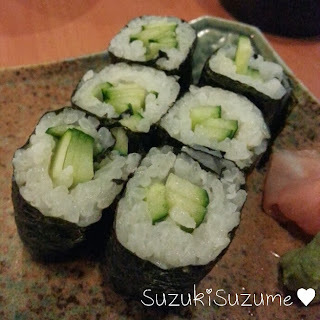 Back to food posts! 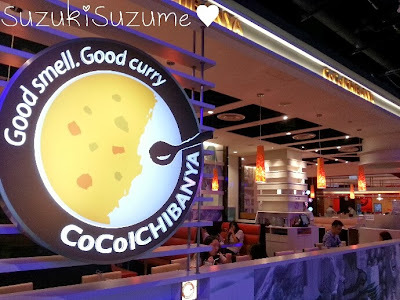 XD This is actually an overdue post... oops~ Visited CoCoICHIBANYA quite awhile back actually. 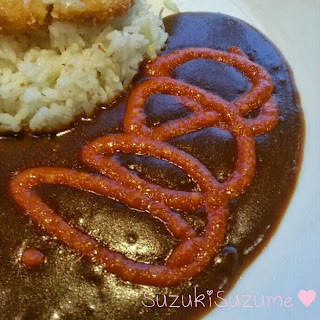 It is a restaurant that serves mainly Japanese curry! They have a wide variety of side dishes and they also have omurice choices too. 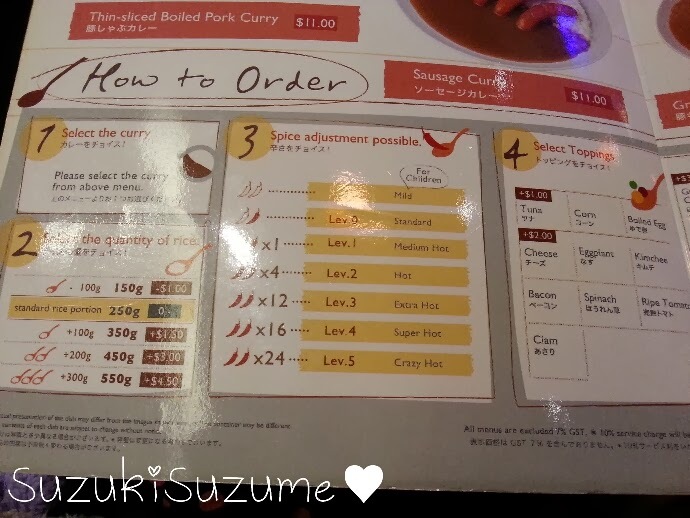 Their ordering system is made is such a way that you can customize your own meal. From rice portion to spicy level to additional toppings! Small eaters can save a dollar by requesting for less rice! I'm not exactly a small eater but I'm on a quest to lose weight so I requested for less rice. Haha! I chose level 3 spiciness to compare it with Monster Curry's standard. 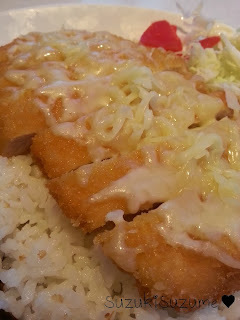 Oh, I also ordered the same thing I ordered from Monster Curry, Chicken Cutlet with Cheese! I would say that the portion is better for me as Monster Curry's portion is really quite huge. Although I can finish it, it always leave me feeling like I'm about to explode. 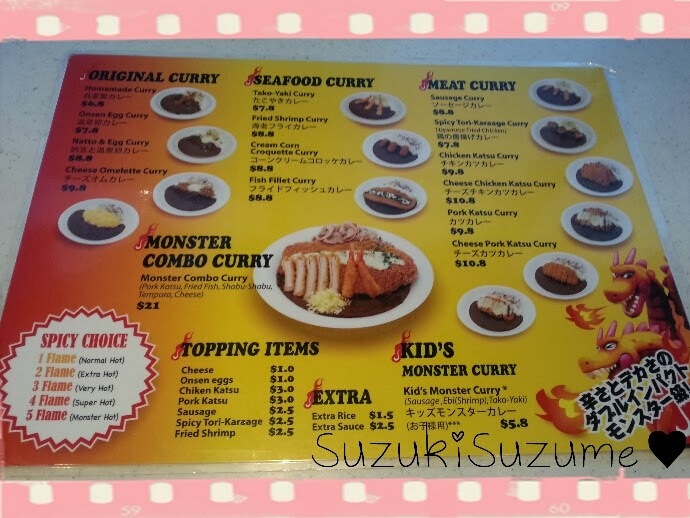 XD I also prefer Monster Curry's chicken as it's leaner. I guess the main difference between the two is that the cheese here is actually inside the curry itself! Unlike at Monster Curry, the cheese is scattered on top of the chicken cutlet. Both is equally nice, just a different way or eating it. Hehe. Pricing here is also a bit more than Monster Curry. However, overall I would say it is worth the try! CoCoICHIBANYA is located at 313 Somerset, #B3-25. Do check it out! Majority of pictures contributed by Orenjimasu, @sankareon. It was my first time welcoming my idols at the airport. Because... none of my idols actually came to Singapore before. :\ It was an awesome first time anyways! I was actually very nervous, because I had no idea how it would turn out and whether I would be able to pass my present to them. After passing my present, what am I supposed to do?! So many questions were running through my mind and I had many scenarios worked out in my mind LOL. I almost wanted to chicken out last minute as well. D: But the actual thing turned out even better than expected! Who was I waiting for? 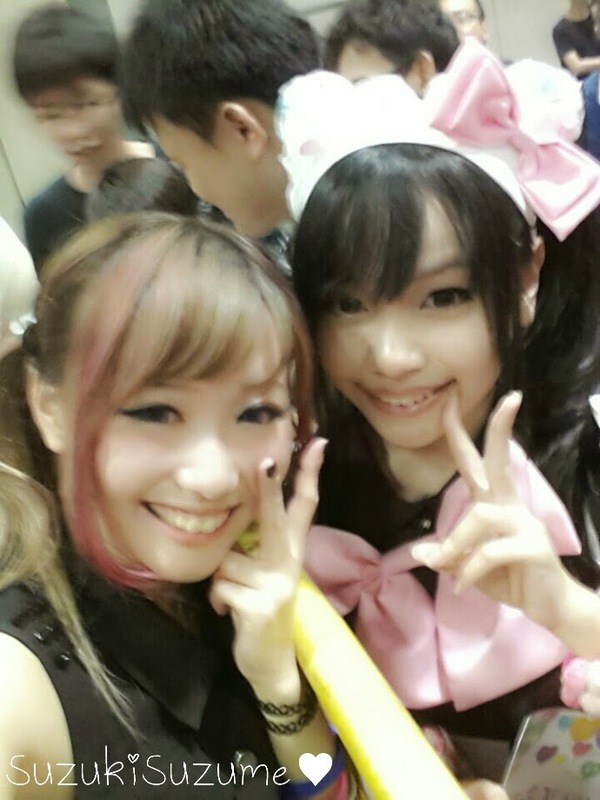 Pikarin, 217 and Miume. To be honest, at that time I was not much of a 217 fan. I didn't know much about her so I actually didn't prepare a present for her. So my eyes were scanning for a chibi cute girl and a white-haired girl. XD When they appeared... all the FEELS were so overwhelming. 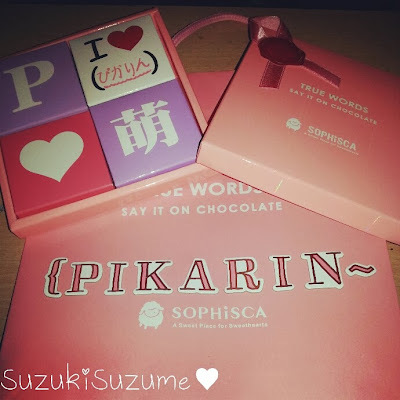 Pikarin's Present. 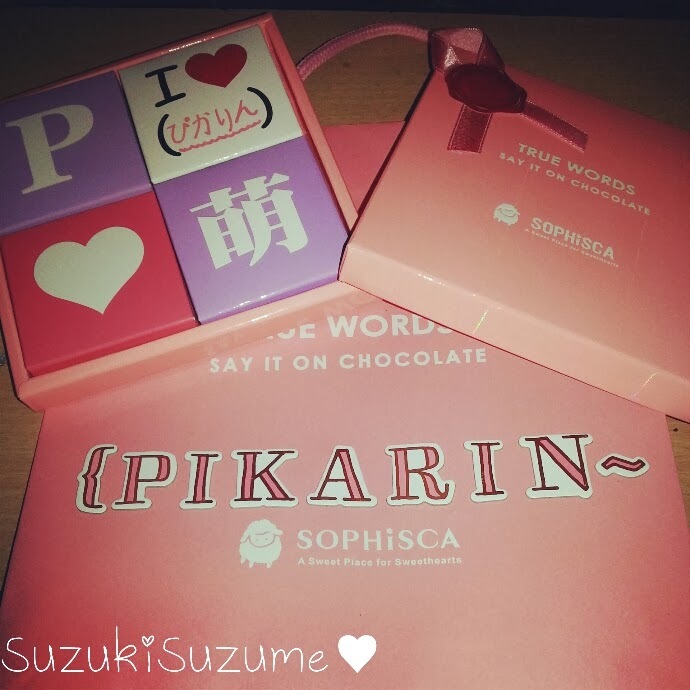 Chocolates from SOPHiSCA. Miume's present. 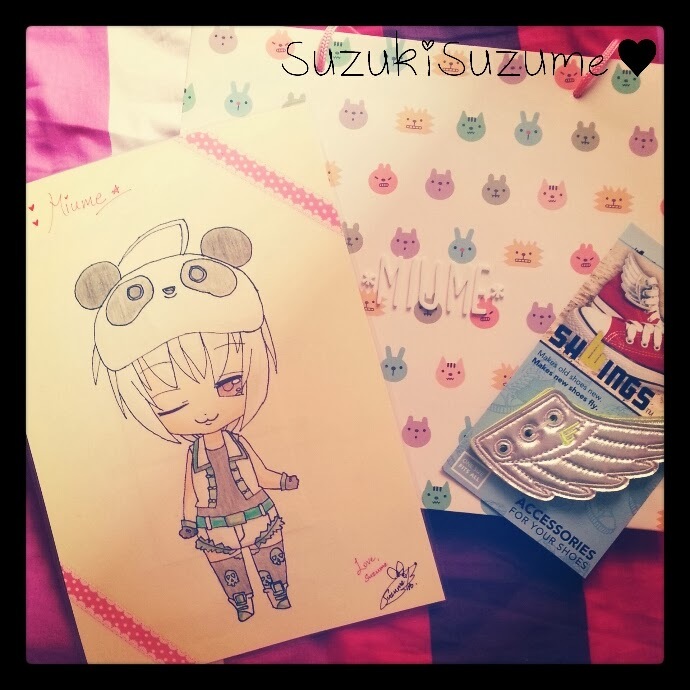 Traced out the chibi, pasted my message behind and laminated it. The one on the right is wings she can attach to her shoes! When they left, they started tweeting/blogging soon after. Which made us spazz even more when we found pictures of our group photos and presents on their tweets/blogs. They really know how to make their fans happy. Kyaaa~! Soon enough, it was time to head to the mini-stage! Managed to get a pretty nice spot near the front. 217 and miume were the first to be introduced and they performed two dances! Didn't know what they would do for the mini-stage so having 2 dances were pretty awesome. ^_^ They danced "Romeo and Cinderella" first, followed by "Happy Synthesizer". Romeo and Cinderella really made the fans spazz cos it's such an awesome dance! To see them dance it live as compared to a screen is really different! You can feel their energy and see their facial expressions up-close. Guilty Hearts ftw!! A bit too far from her, but better than nothing! We walked around the convention a bit after that since there weren't much scheduled for the rest of the day. 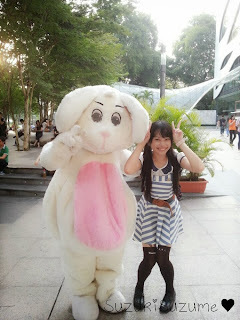 But throughout the day we kept bumping into miume and 217. I swear, we were not stalking them! We will somehow always end up behind them, which kinda seems like we were stalking them LOL. Since we kept bumping into them, I wanted to ask for their sign. But I didn't want them to just sign on any random piece of paper... so Leon actually suggested to let them sign on my front pink ribbon. Eventually I decided to let them sign on my back ribbon cos then it won't look funny in pictures as well hahaha. They actually tried to talk to me as well but my Japanese is too limited. ): I can understand but I have no idea how to reply. 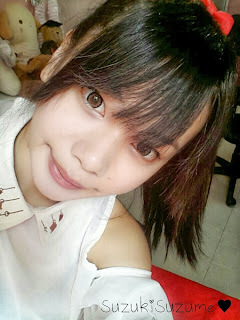 T_T Makes me motivated to start my Jap lessons again though. Ganbarimasu! So yeah, we actually had to purposely walk in a different direction from them after awhile as we did not want to make it seem like we were stalking them. 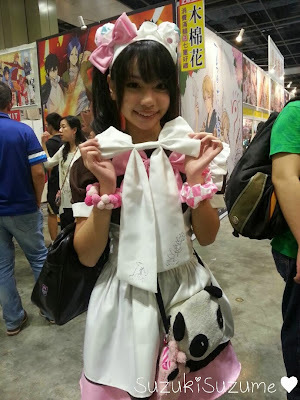 Haha~ The first day was already so happening and fulfilling. When I reached home I felt so drained already! Anyways... rushed down to suntec because they had another mini stage scheduled at 2.35pm. I reached there at probably 2.20pm-ish. Some of them managed to get the front row but I was too late so I was a few rows back. Nonetheless, still quite near the front. XD They performed the same dances again. Surprisingly the audience were less hyped up compared to Friday, but it was still awesome. Close-up for Romeo and Cinderella. All the feelz!! Since it was a Saturday, there were more fans and getting to them after their appearance at the mini stage was a little harder than the day before. But patience is key. LOL. I got my turn soon after and passed miume her cookies first. I gave miume the oatmeal cookies, which I now call miume cookies. HAHA. 217 had her niina cookies, which are the double chocolate cookies. 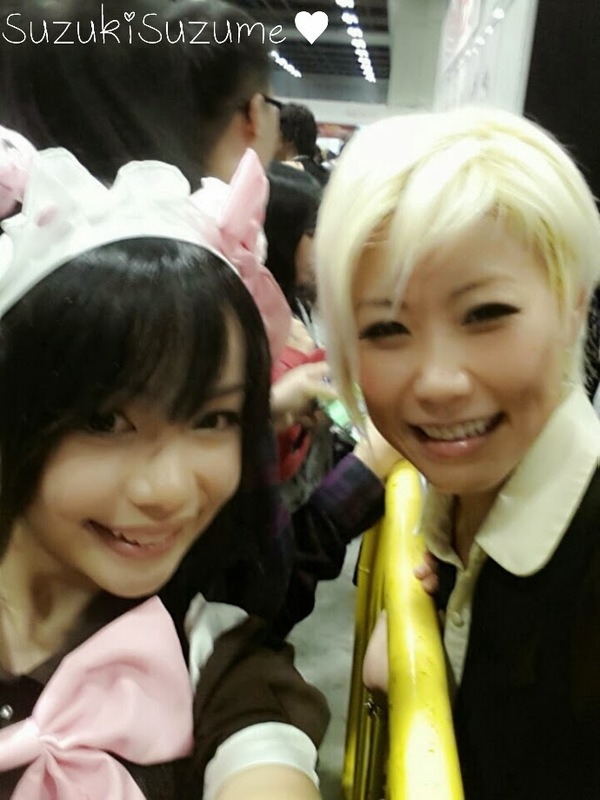 She recognized me again even though I had lesser make up and a different outfit. She even tugged my dress and went "ah! Today's outfit~" When I passed her the cookies she asked me if I made them and another question which I couldn't understand... Sorry OTL. But I opened my arms and requested for a hug and she gave it to me~ Wheeeeeeeeeee~~ NEECHAN. Successfully passed them the cookies and slowly made our way to the main stage so that we can get good seats. Ended up splitting up a bit, but kawaii naru-chan and I managed to get a nice spot in the front, although it was at the side. Marble Wonderland started off with hachiojp and his collab with miume and 217! It was nice seeing them dance on the big stage! Was pretty inspired by their dancing. Makes me want to keep improving myself! There were several interesting stage activities. 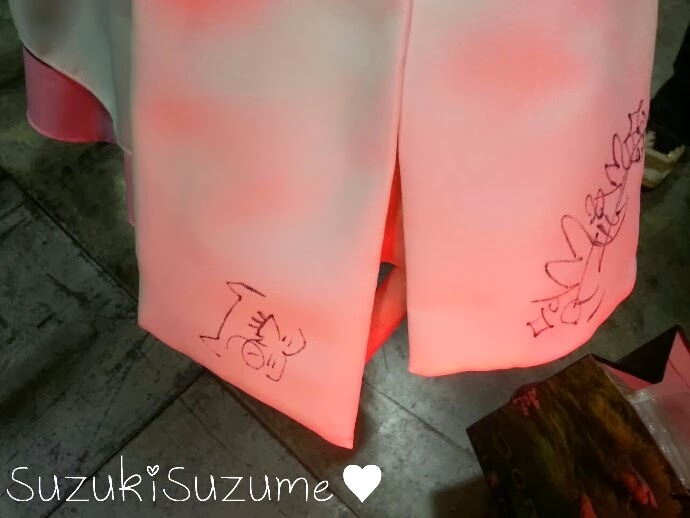 Pikarin appeared about 2 times as a model. 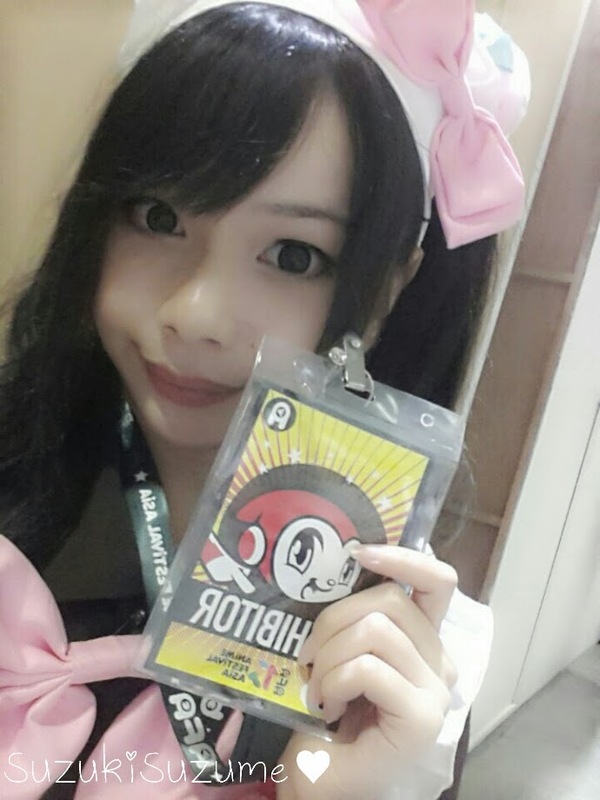 It was pretty disappointing to know that Pikarin didn't have a chance to perform toroamachu... especially since some of us actually know part of the dance. :\ But nonetheless, Marble Wonderland was still entertaining. Met up with Natsumi and decided to head to the airport to send them off. Bumped into Charmy on the way out and she gave us a lift to the airport! \o/ Lol reached the airport super early as a result. :x Settled dinner before camping. There were several others who were camping for Baby Metal as well... Was stalking twitter and realized miume/217 had an event at Osaka the next day, and miume tweeted she will be going to osaka straight from Singapore. That tweet caused quite a confusion as we didn't know which flight they were going to board. D: But well, the Osaka flight was scheduled quite late so we were just camping with the Baby Metal people first. Turned out that the Marble Wonderland group reached the airport first and miume/217 were together with them~ Yay! XD It was sad saying goodbye to them... :\ Side-hugged niina... this time it was even tighter than the one at the mini stage. Our heads touched and all the feelz came back again. ): Hate it when that happens because suddenly all my Jap knowledge disappears and I forget what I want to tell them. However! I believe we will meet again! Nee-chan, I will see you next year!! 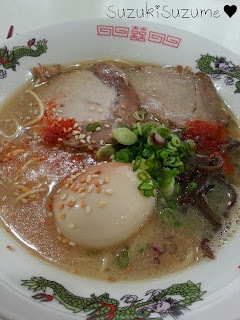 On a budget but craving for delicious, authentic ramen? 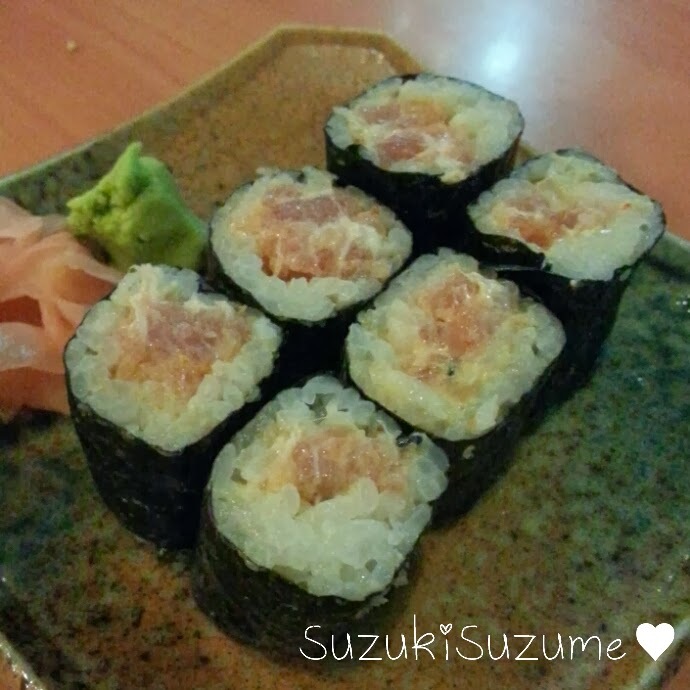 Hiro is the place for you! 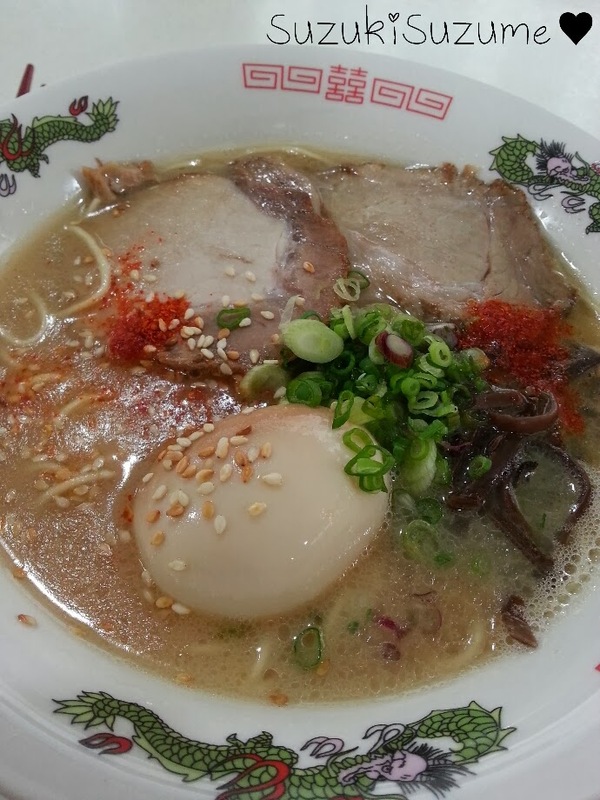 Situated in a small little coffeeshop at Kovan, Hiro serves authentic ramen at only $5 per bowl! 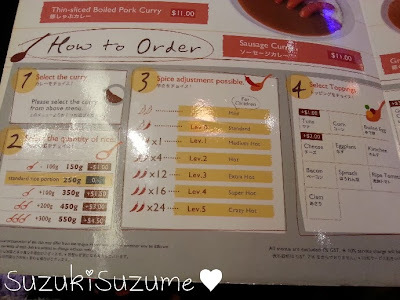 Apart from ramen, they also have other Japanese food available such as Japanese curry rice and gyoza! They are definitely different from the usual kopitiam/food court Japanese store ramen and much more authentic. I ordered the Tonkatsu ramen on their signboard. Despite being only $5, they were generous with their servings which included one full half-boiled egg and several peaces of meat. Serving is probably just a little less than those served at restaurants, but definitely worth the $5 and filling enough! They didn't have spicy ramen option available which was kind of disappointing for me, but they had the chili powder available which managed to spice up the ramen a bit. Hehe~ XD The meat was super delicious to me as it was salty enough which simply makes you crave for more of it. :x The half-boiled egg was not bad and was cooked just right, but I would say it is not as authentic as those found in Japan. I'm not too sure how to say it, but Japan's half-boiled egg is more orange, while the ones served at Hiro was the normal yellow yolk. The ones in Japan also had a salty kind of taste to it. 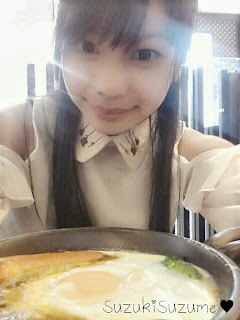 Nonetheless, I'm very satisfied with the meal! 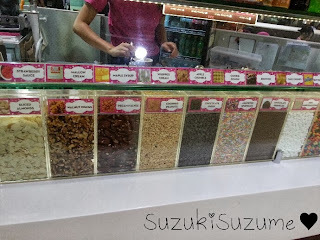 Will definitely go back to try out different flavours next time! Hiro is just a walking distance from Kovan MRT. 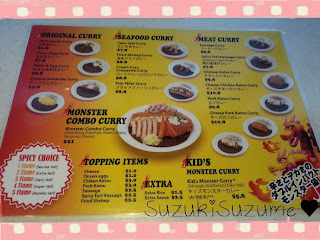 Monster Curry is located at Food Republic at 313 Somerset. It's on the 5th floor. Lazy me usually take the lift up so once you exit from the lobby, it should be right in front of you haha. It's situated at the corner but the sign is pretty big so you should be able to see it! Prices are pretty reasonable considering the portion they give. I am able to finish the whole plate by myself but some of my friends (girls with small stomachs) find it too much for them. So if you are one of those with a small stomach, I would recommend sharing one portion with a fellow friend. 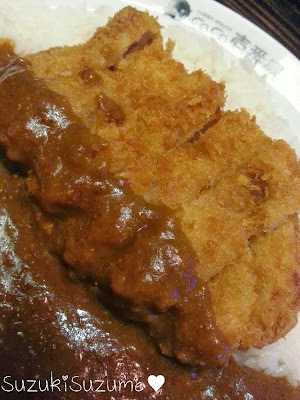 My standard order is the Cheese Chicken Katsu Curry. Haha yes, I do love curry and cheese. 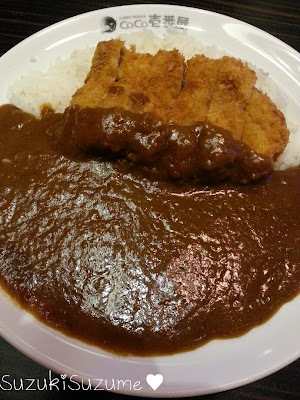 :x They have a pretty good variety available, which includes natto curry. ._.'' Personally I hate natto. The smell, the taste, the texture. 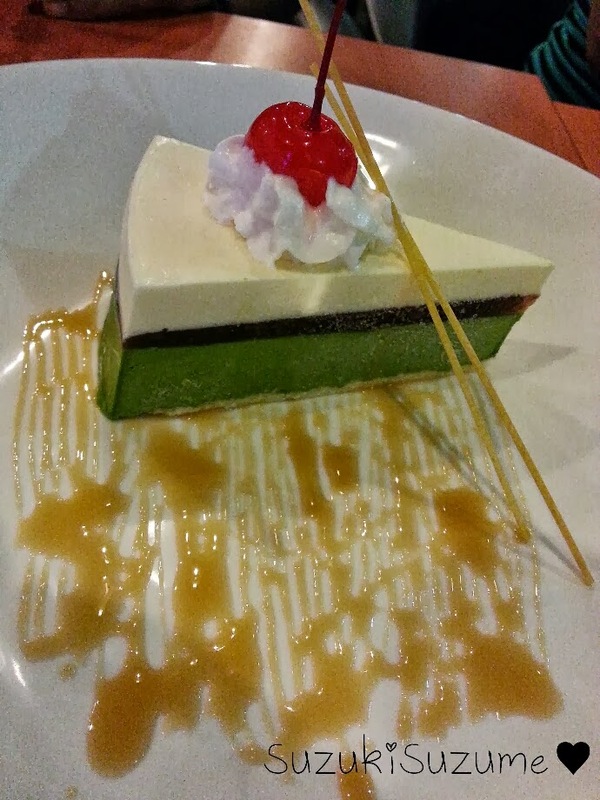 Urghhh................ x.x But two of my natto crazy friends ordered it... 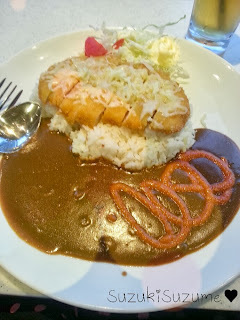 According to my friend, the curry is a little thick, but despite that, you can still taste the natto. And yeah, of course they enjoyed their natto. Will never be able to understand their love for natto but... anyways! Here's my dinner! Oh! You can choose the level of spiciness as well! Love it cos I love to go on spicy challenges. Hehe. 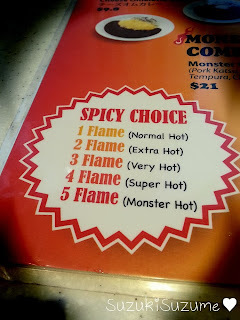 Today I challenged myself with 3 Flame (Very Hot). Which level would you dare challenge? The level of spiciness is actually controlled by the amount of chili sauce they add into your curry. Depending on the person serving you, some of them would draw the sauce on your curry in nice cute flames. However, today I wasn't so lucky so the person serving me just swirled the chilli on. Hahaha. We were not hungry that day so we decided to have the free ice cream today after we filmed another upcoming dance cover! 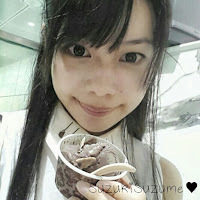 The feeling of having free ice cream after a tiring day of dancing/filming is simply awesome. The free ice cream is by Marble Slab Creamery. They have a wide variety of flavours and mix-ins available! We were literally spoilt for choices. Look at all the nuts. Just look. And yes, they do their magic on a frozen marble slab! 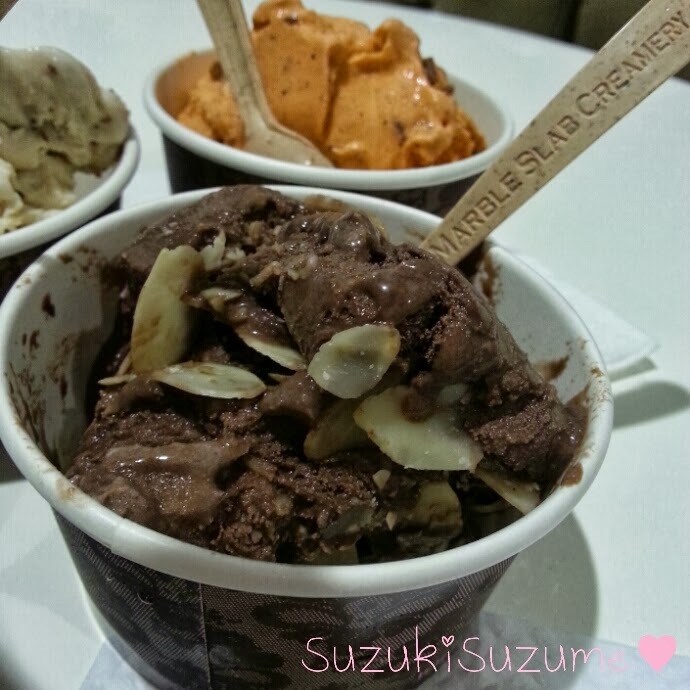 Their add-ons are called "mix-ins" instead of "toppings" because they mix them into the ice cream instead of just sprinkling it on top! "Once your desired flavor has been selected, the magic begins. 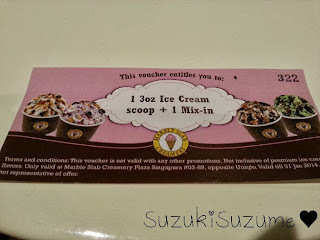 We scoop the ice cream onto a frozen marble slab, where your choice of fruits, nuts and candies, known as Marble Slab Creamery "mixins," will be skillfully blended in with the ice cream, then finally piled high on the delectable waffle cone of your choosing." After staring at all the different choices available, here is our choices! Left, Salted Caramel. 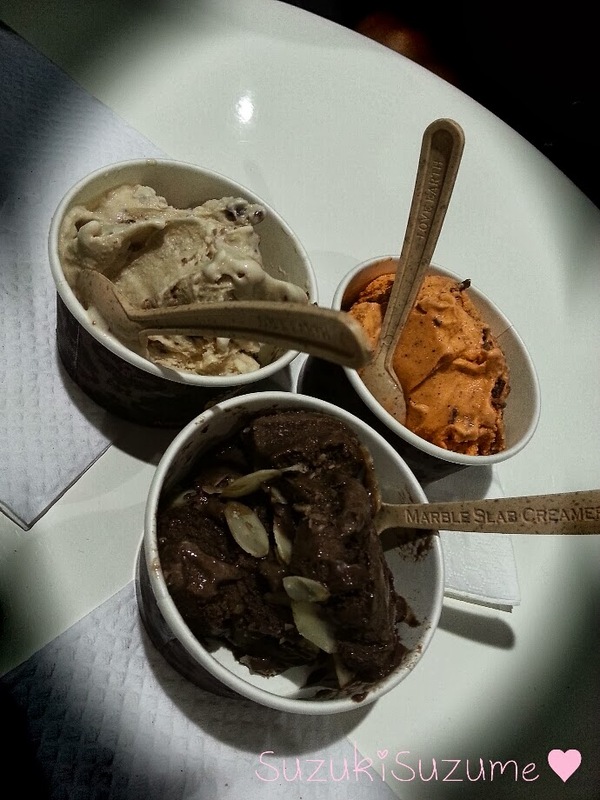 Middle, Double Dark Chocolate. Right, Thai Milk Tea. Mine was the dbl dark chocolate with sliced almonds! 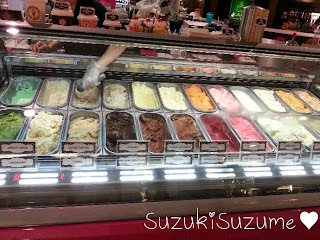 After the free ice cream treat, we headed to Hoshino Cafe! Yes, we are weird people who eat our dessert before our main meal. LOL. Don't judge! :x I've gone to Hoshino Cafe 3 times so far and all 3 times I ordered the same thing... Curry Baked Rice! The curry baked rice had CHEESE in it too!! Which made it doubly awesome. :3 Hehe. Oh and one thing I like about Hoshino Cafe is that they provide baskets for you to put your bags in! How thoughtful right? Every other F&B outlet should learn from them!! Just throw in all your barang barang! In Japan, standing bars are popular, whereby customers go in, order their food and consume them while standing. That is probably where Standing Sushi Bar got their name from. However, don't worry! Seats are still provided at the restaurant where you can enjoy your food comfortably. What attracted to me to the small little branch situated at Queen Street? Their weeknight promotions! They offer different promotions on different nights so choose the one that is most suitable for you! 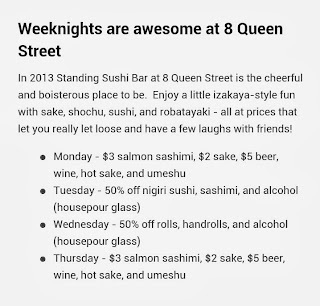 Not really a sashimi lover myself, I decided to go on Wednesday night! 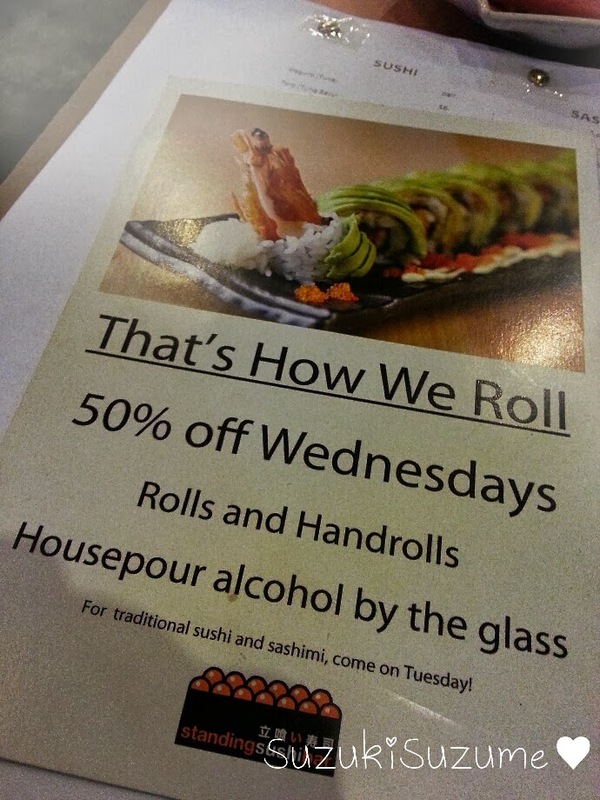 Wednesday promotion: 50% off rolls and handrolls! Here's what I had for the night! Kappa Maki for $2 after discount! 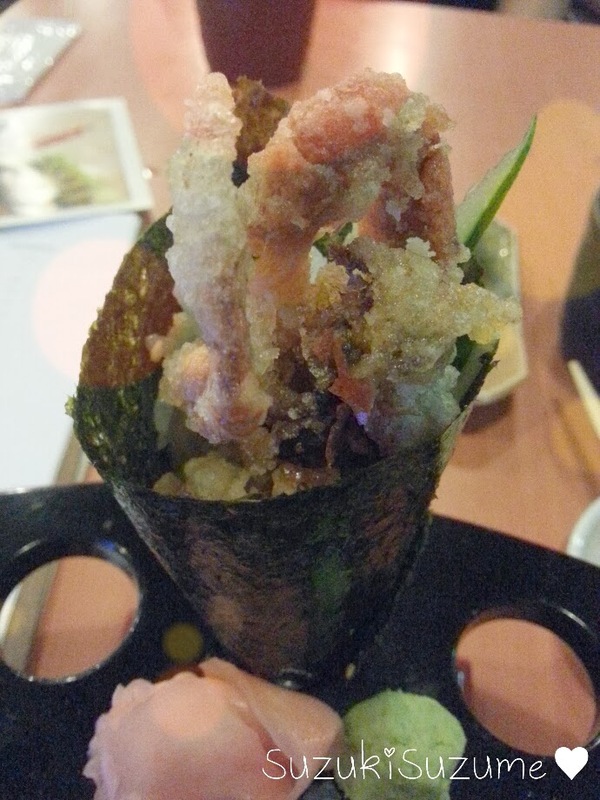 I orderd TWO softshell crab handrolls! Each handroll is only $3. Of course, not forgetting desserts! Since I didn't get to eat -much- non-raw food, I decided it was okay for me to pamper myself a bit with some desserts. Hehe. Look at the pretty presentation! Regarding the waiting time to be seated, I didn't have to wait at all. There was a crowd, but not much of a queue. 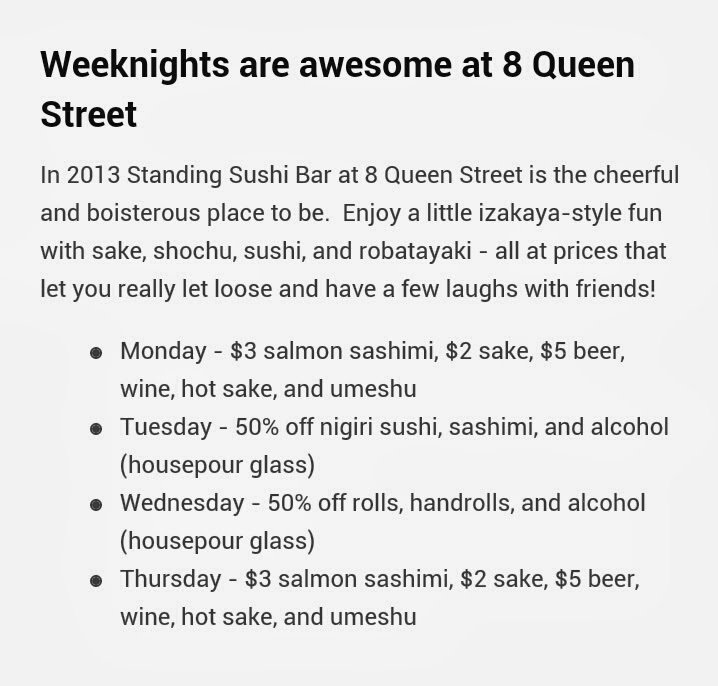 On other days where their sashimi is on discount, though, a queue is expected. 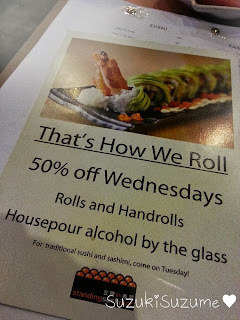 So if you're going down on a sashimi discount day, try to go earlier! Woke up today at 6am to put on make up for work. x.x Didn't help with the fact that I slept at 3am+ last night due to a really bad tummyache! D: But I'm still alive, so all is well. Hehe. After my work in the morning, I headed down to Scape for Swop for a Cause! Swop for a Cause is a charity event whereby you can bring down at least 5 good condition items, pay $5 and swop them for something else you like! Alternatively, you can pay $15 and get 5 items without exchanging anything. The money goes to disadvantaged women! The event is held in conjunction with International Women's Day (8th March). I found it really meaningful and fun at the same time so I brought down 5 of my impulsive buys. Most of them I never worn before! I paid $5 to the cashier and off I went to search for items I like. The event area is pretty small. About 5 tables placed in a circle. The items were separated into accessories, cosmetics, tops, bottoms and dresses to ease your search. There were so many clothes I felt like an auntie flipping through all of them! Hehe. I couldn't find any clothes that I liked (I'm quite picky with clothes)... Oh actually I did find a pair of shorts which looked cute, but there was a stain at the corner so I decided not to go for it. :\ People! When you swop your items, do make sure that they are in good condition! Meaning no stains, no rusts, no yellowing (I did see a yellow men's top, urgh). Anyway, here is my loot! 1 top, 1 belt and 3 bracelets! Got this top for my mum! Really good quality! Cute belt! Quality not very good and have some defects, but still wearable! Kawaii bracelet! Loving the little bow in the center! As I was one of the first 100 to participate in the event, I was given a goodie bag! Hair accessories! All of these at only $8!! 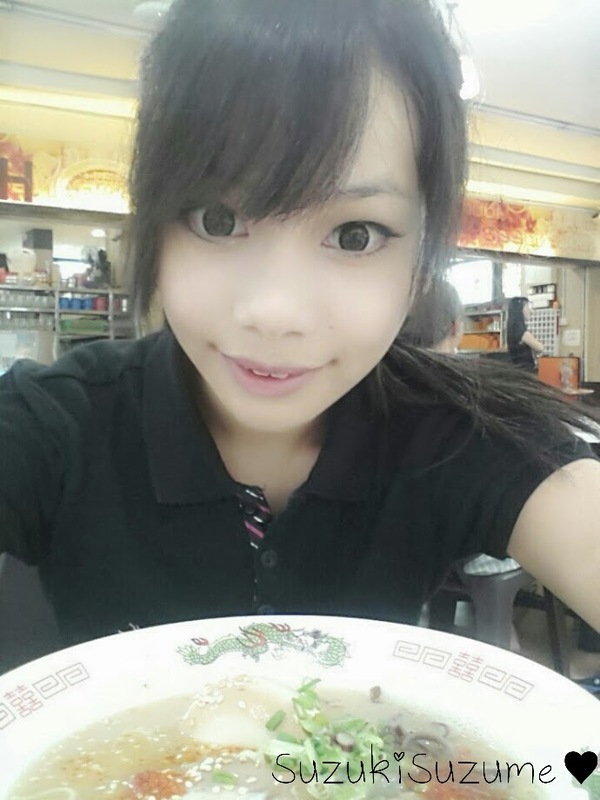 Hai hai~ I had an awesome #foreveralone date with myself today. :3 Remember to go for Swop for a Cause!! Like their Facebook page to look out for exclusive updates! 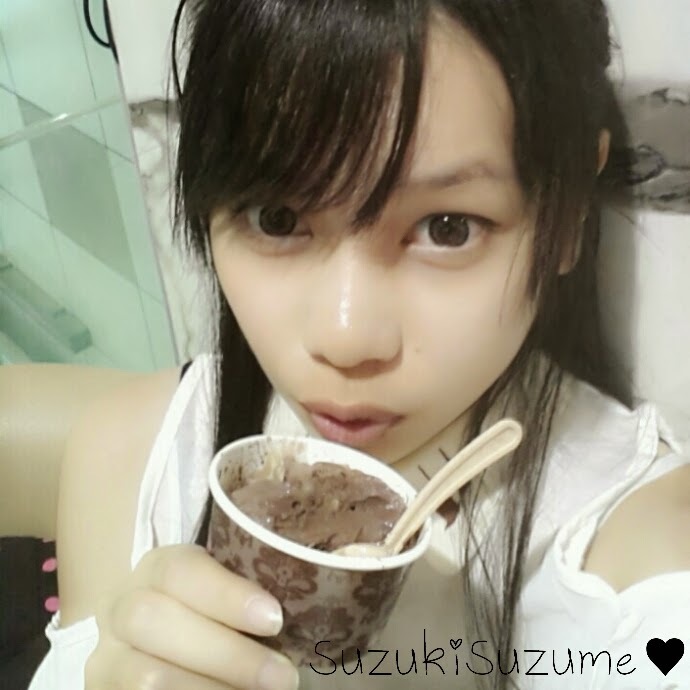 Suzume means 'Sparrow'. Like a sparrow, I may just be an ordinary and insignificant person, but yet I have everything I need to be just me.